June 22, 2015 By Allyson 16 Comments This post may contain affiliate links. Read my disclosure policy. One Pot Cheesy Cajun Pasta takes less than 20 minutes to make, is super flavorful and delicious, and costs less than $5 for the entire meal! 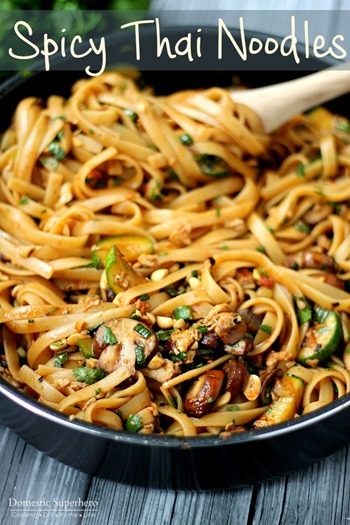 Y’all…..I have ANOTHER one pot pasta dish for you today!!! I am seriously excited about it too, because, guess what?! It’s amazing!! I’m not really sure why it took me so long to discover one pot pastas, but thank goodness I did, because they are seriously the best ever. 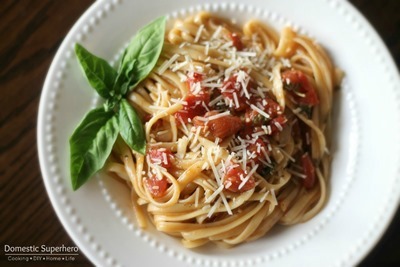 If you are a pasta lover like myself, you need to check this recipe out. 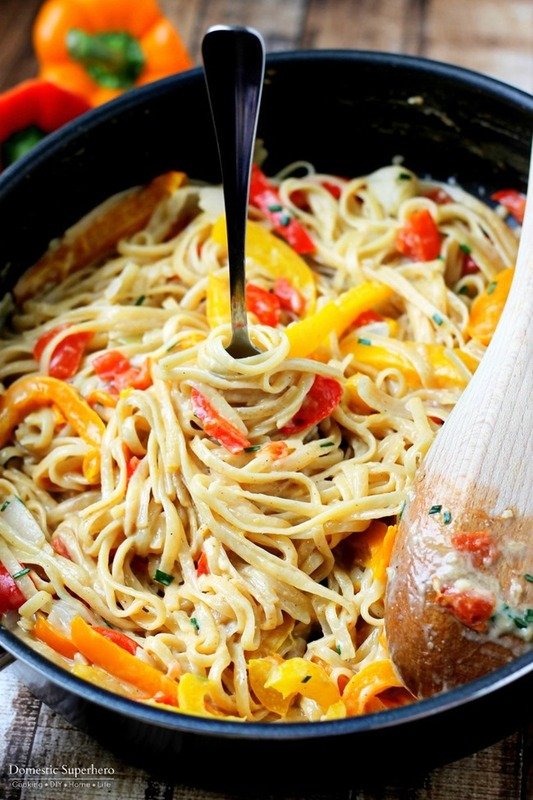 This One Pot Cheesy Cajun Pasta is vegetarian, but hey, if you are a big meat eater, add some meat! This would be great with chicken or shrimp! I will mention some tips below on adding those if you chose to do that. But really, add this to your menu plan – it’s awesome, cheap, east, fast, and best of all – delicious! 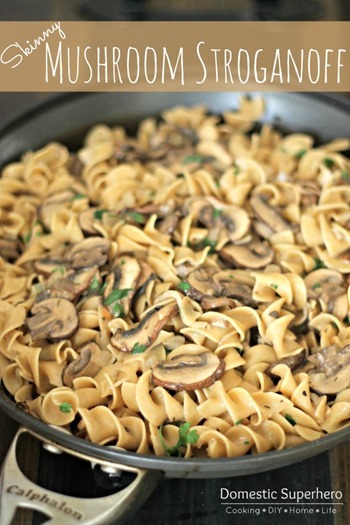 Okay, speaking of One Pot pastas, you HAVE to get yourself a skillet/pot like the one I have – it’s amazing. No longer do I have to use a HUGE pot, and then worry about washing it, nor do I have to squeeze everything into my shallow sided skillet and have the sauce bubble over – this high side skillet is seriously made for these one pot pasta dishes. The cleanup is a breeze too – you can toss it in the dishwasher, but I really prefer to hand wash because it takes 15 seconds max, and then it doesn’t cramp up my dishwasher! 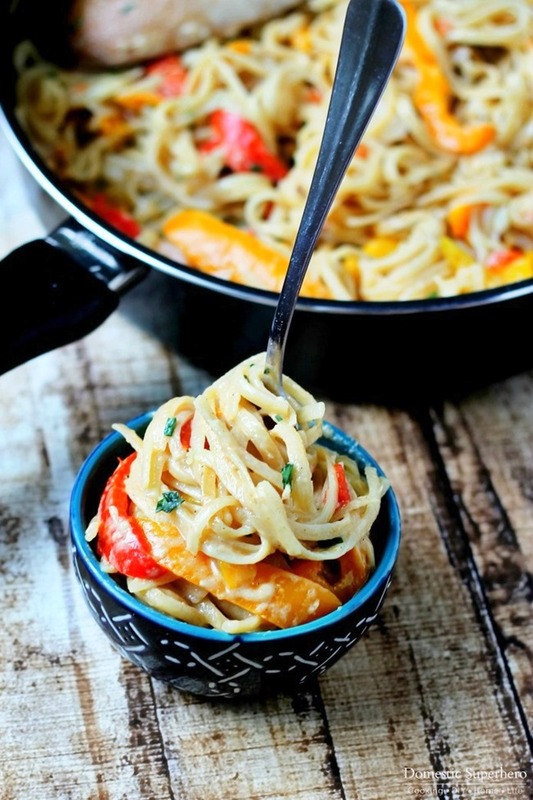 You need it for this One Pot Cheesy Cajun Pasta! This One Pot Cheesy Cajun Pasta came together even faster than my normal one pot pasta, I am thinking maybe because of the milk.Anyway, IF for some reason at the very end your pasta isn’t sauce or is running a bit dry, just add a bit more milk (like 1/4 cup), and mix it in – then you can add the cheese – perfect! Also, if you like your pasta spicy, this isn’t that spicy, you can add red pepper flakes or additional Cajun seasoning. I would suggest trying it at the end before adding more Cajun seasoning, because that stuff packs a lot of salt and you don’t want it overly salty. I think if you are going for more heat, add some red pepper flakes in the beginning, that should spice it up nicely. This recipe takes less than 20 minutes to make (crazy! ), will satisfy your family, and is SO incredibly cheap to make – my recipe totaled just over $4 with tax (not counting spices, which I already had on hand), how crazy is that?!?! I mean come on, make this, you know you want to! 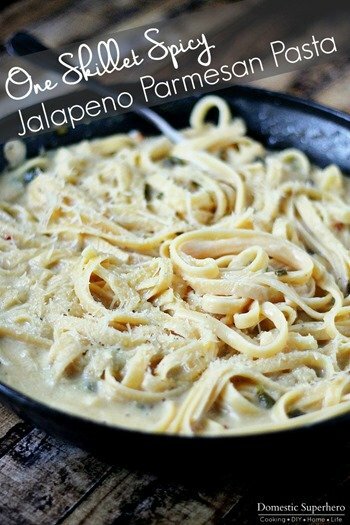 One Pot Cheesy Cajun Pasta takes less than 20 minutes to make, is super flavorful and delicious, and costs less than $5 for the recipe - amazing!! In a large skillet or pot over medium/high heat, add olive oil and garlic, saute for 30 seconds. 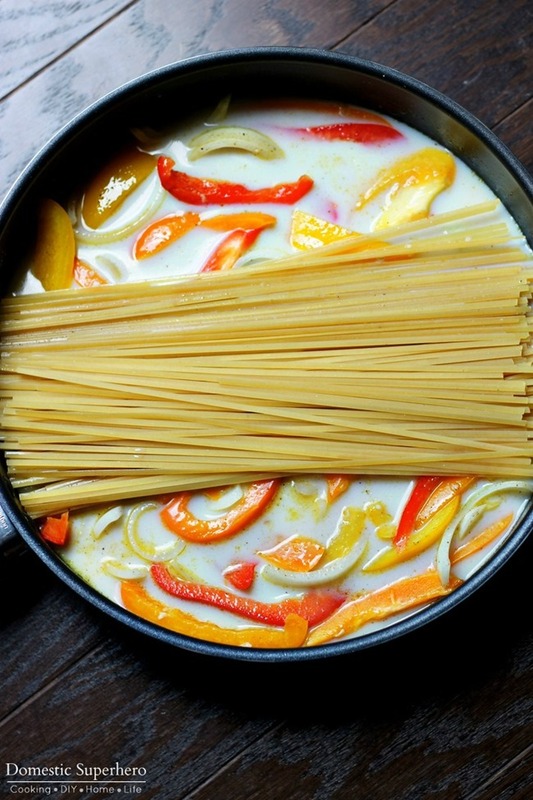 Add red, yellow, and orange peppers, along with onions; stir to combine with garlic. Sprinkle cajun seasoning and black pepper over the vegetables; saute for 2-3 minutes. Add milk, vegetable/chicken broth, and linguine. Bring to a boil, then turn heat down to simmer; cover. Stir every few minutes, and allow to cook for 12-14 minutes, or until pasta is tender and not much liquid is left. **If after this time there is no liquid left, add 1/4 cup milk, stir to combine**. Remove from heat, add parmesan cheese and stir to incorporate. Garnish with green onions and serve immediately. If you would like to add chicken to this dish, simply chop the chicken into bite sized pieces and cook it FIRST in the skillet with the garlic and oil. Sprinkle half of the cajun seasoning over the chicken while cooking, and then add the other half of the seasoning when you add the pasta. Leave the chicken in the pot when you cook the rest - easy! 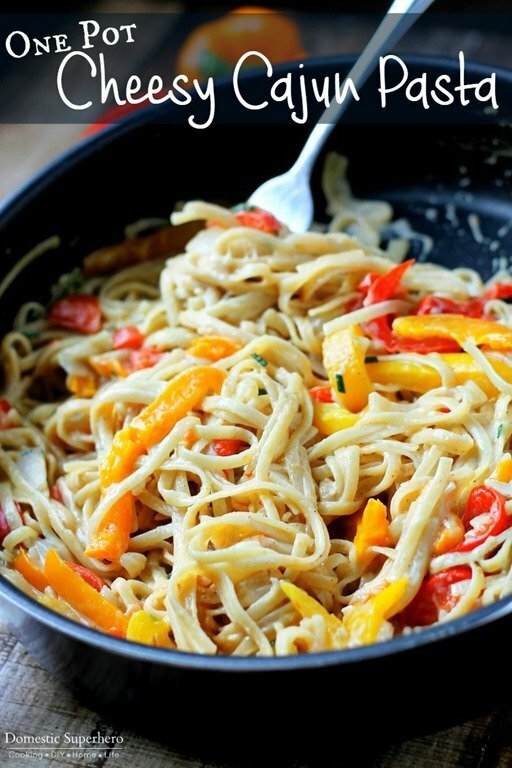 If you would like to use the whole box of pasta in this recipe, just DOUBLE everything - easy! Yum – thank you and have a great day and week! Thanks for the great recipe, definitely sold me on the skillet there. Which cajun seasoning do you use? I just use whatever I have on hand, a general ‘cajun seasoning’…I think mine is in an orange container, but I am not sure. You can find the blends in the spice aisle at the grocery store! I don’t see the recipe? Your Thai one pot has the recipe following your article, but I can’t find the actual recipe for this item. Ok, after many attempts, it finally loaded…..sorry about that! I am sorry that happened! I think it’s been a little glitchy the last few days – hopefully it will be back to normal soon! Enjoy it! where can i get that skillet? I am so happy you loved it! I like your suggestions, too! Thanks for sharing!